Officer Schmidt was shot and killed while on foot patrol near Grand River and 16th Street. Officer Schmidt encountered two men who opened fire him. The men shot him several times as he attempted to flee and continued shooting him after he fell to the ground. 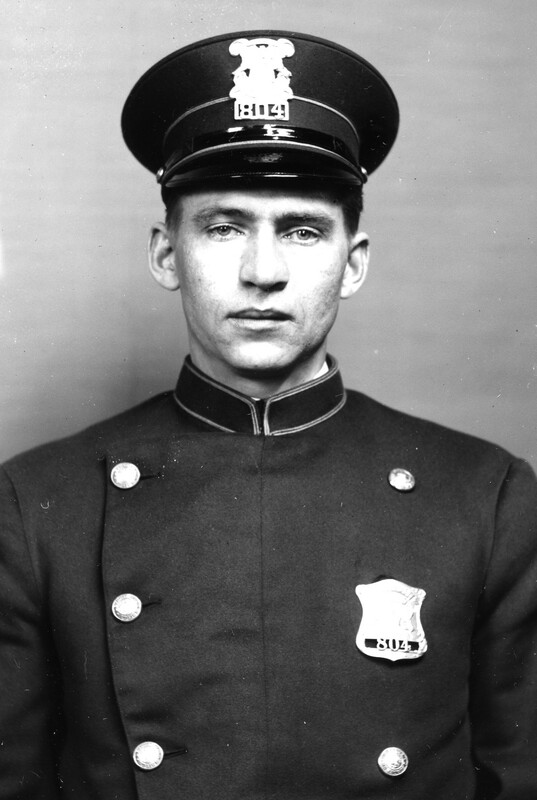 Officer Schmidt had served with the Detroit Police Department for 1 year. To Paul Peterson: I had not checked this site in some time. I was so excited to read your note. Yes my father was Harold W. Schmidt. and my brother is Harold C. Schmidt who lives in Spring Lake, MI. Actually Olga an Emil had Edna, Lucille, Mildred and Gertrude and my dad Harold. I would love to hear more from you. I was pretty excited to see my Grandfathers name on the Fallen officers wall. Lucille had a son Paul. Lost touch with him years ago. Please let me know if you have more info or even questions for me. Not sure I have many answers but maybe you might have some for me!